We kindly invite you to read the article of Seweryna Konieczna ‘Professor Józef Joteyko – The distinguished Polish scientist of the 19th and 20th century’, which was published in the quarterly ‘Nauka’ (no 1/2019)! Józefa Joteyko was the outstanding scientist in the end of the 19th and in the beginning of the 20th century. Together with Maria Skłodowska-Curie she was the most famous woman and scientist of Polish origin in Europe. She was given the right to present her lectures in the Collége de France and she was, after Adam Mickiewicz, the second Polish lecturer at this great academy. She had committed her life to scientific disciplines which included child neurology, neurophysiology, psychology and pedagogy. She had managed to develop each of them evenly with the same progress and in relation to children. Such approach was aimed at understanding the child and gathering the knowledge about its character and predisposition. These was also meant to help in determining what kind of educational and professional way the child should take. The present-day psychological and pedagogic clinics are the practical fulfilment of Józefa Joteyko’s idea and we cannot imagine the contemporary education without the support of such institutions. 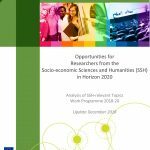 We recommend reading the document Opportunities for Researchers from the Socio-economic Sciences and Humanities (SSH) and Horizon 2020, prepared and published by the Net4Society project in December 2018. The publication contains a full range of topics in the Horizon 2020 contests in 2019 that are relevant to scientists, academics, researchers and other entities in the SSH area, including SSH-DEDICATED TOPICS, SSH-RELEVANT TOPICS as well as TOPICS WITH MINOR SSH RELEVANCE. Speech by EU commissioner for research, science and innovation – Mr Carlos Moedas in Katowice, a list of Polish enterprises, universities and institutes that are successful in Horizon 2020 and an overview of the most important international events that have taken place in Poland in recent months – these are just some of the topics covered by the latest edition of The Bulletin by the National Contact Point in Poland. 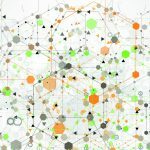 On the Polish Academy of Sciences website https://institution.pan.pl/images/ogolne/publications/folder_2017/Folder_PAN.2017_eng.pdf there is available a new version of the PAS folder.